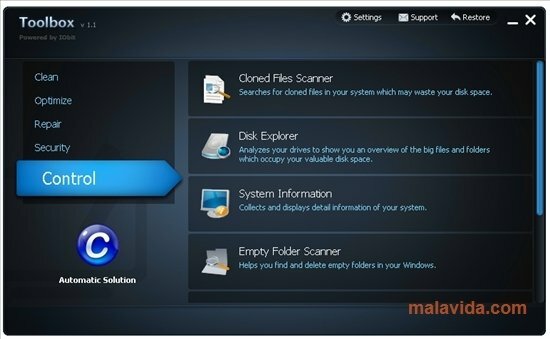 Computers require a certain level of attention if you want them to work properly, and for this reason it's important to select a pack of tools that will help you to carry out a series of procedures, that usually help to increase the file search speed, release space on the hard drive and to optimize the Internet connection. 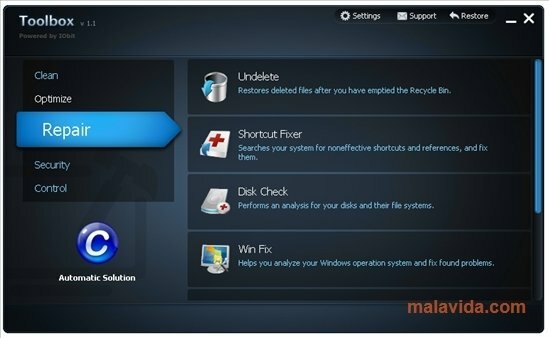 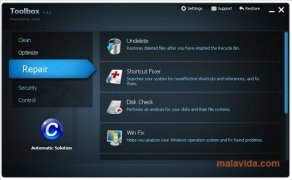 - Collection of utilities for the maintenance of the hard drive (elimination of duplicates, delete obsolete files, defrag discs,...). 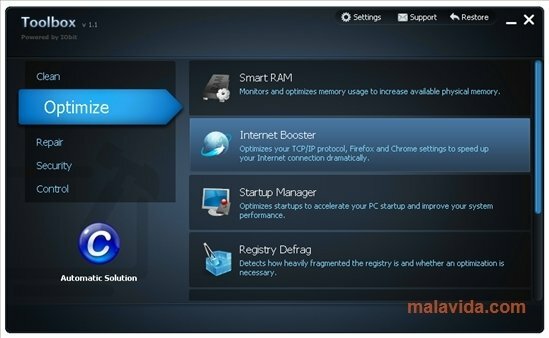 - Functions to optimize the Internet connection, the file search and the system startup. 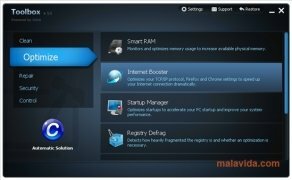 If your computer is slower each day and you're looking for a program that will help you to get rid of each of the problems that you encounter, download IObit Toolbox now.